The features and content expansions don’t stop rolling into Forza Motorsport 7. Whilst the February Update is fresh in everyone’s minds, developer Turn 10 Studios teased some of the new additions we can look forward to next month on its most recent Forza Monthly broadcast. As noted on the livestream by Chris Esaki, Turn 10’s Creative Director for Forza Motorsport 7 and most particularly – its post-launch support, the team remains “hard at work” at various different areas of the game. That includes the upcoming Forza Race Regulations adjudication system, which has been in the works for over a year now, as well as further improvements to the drift and force-feedback experience. 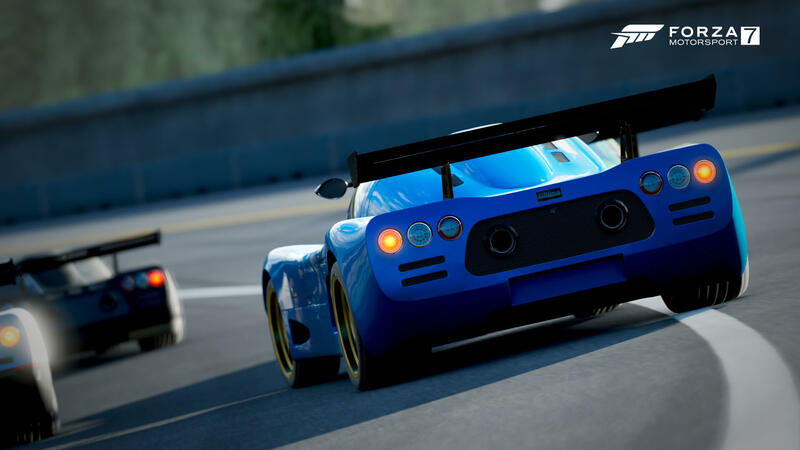 Turn 10’s dedicated in-studio Motorsport team also remains focused on updating and improving the core fundamentals of the game – with a physics roadmap that expands as far as 2021. March promises to be a big month for Forza Motorsport 7 and the features that developer Turn 10 plan to roll out have been months in the making. These include updates to both drift and force-feedback, and potentially, the initial rollout of Forza Race Regulations – its new genre-defining learning system that aims to make drivers race with more professionalism and sportsmanship. The team at Turn 10 is hoping to release its first Multiplayer Hopper with Forza Race Regulations enabled in March, but it’s not fully committed to this just yet as the developer wants to continuing refining the feature before putting it through its paces. But if Forza Race Regulations does begin its phased rollout in March, expect a single beta-style Hopper that will trial the feature – allowing Turn 10 to not only gather feedback and learn from player behaviour, but also give fans who have been eagerly-awaiting the adjudication system the opportunity to finally try it out. 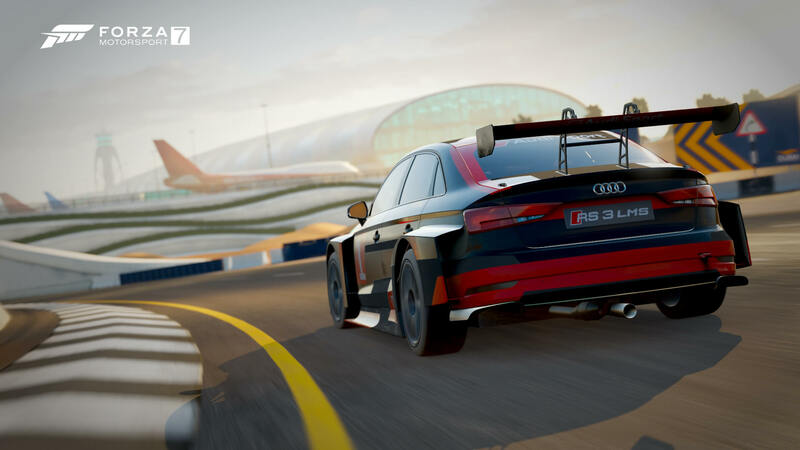 Firstly, the developer aims to test and fine-tune how Forza Race Regulations detects and penalises track-cutting in its first release of the adjudication system before later expanding it to collisions and offering penalties to offending players in that regard. Keep in mind, the introduction of Forza Race Regulations will see the removal of unnecessary tire walls from tracks when the feature is enabled, allowing drivers the opportunity to more freely cut circuits without slamming into a barrier. Obviously, this won’t go unpenalized in adjudicated races. Whilst Forza Race Regulations remains in active development, the feature could roll out as early as next month for Forza Motorsport 7. Elsewhere in the realm of competitive racing, the force-feedback model will receive further improvements with the release of the March Update. These include a whole variety of advancements based on feedback from the Forza community. 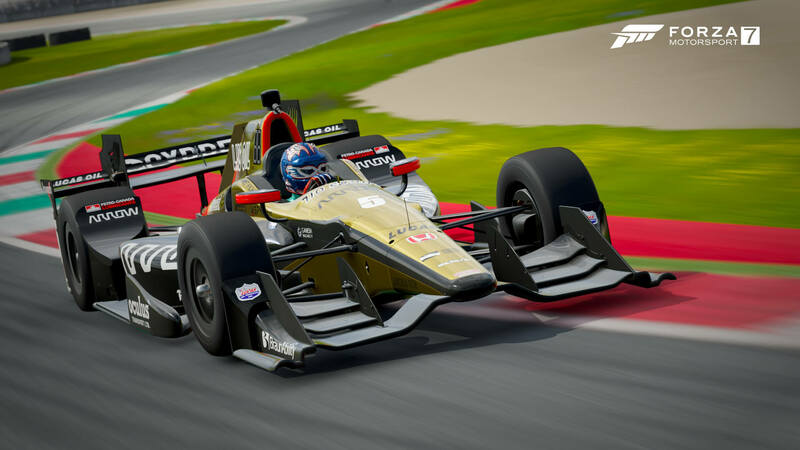 Despite Turn 10 only releasing its revamped force-feedback model last December, the developer remains committed to making further improvements to the system so it can offer the best experience possible for its diehard wheel users. With its February Update, the team introduced a small, but notable improvement to force-feedback that addressed an issue causing latency between the physics frame and force-feedback frame, which manifested as oscillation. This issue with hitching and wheel movement has now been addressed, but next month, the developer aims to take things even further by introducing per car settings for all vehicles in the game. As a result, players will be able to fine-tune options for lock-to-lock and soft-lock and further customize the forces sent to their wheel using a feedback scaler. This improvement is being made to alleviate an issue that sees forces delivered to the wheel based on the overall weight of the vehicle in-game. The differences in mass between cars would play a significant role as heavier cars would offer more feedback whilst lighter cars would offer less. This meant heavier cars were overdoing it in terms of force whilst the lighter cars weren’t sending enough feedback to the wheel. The force-feedback settings for individual vehicles in Forza Motorsport 7 will also be set to specific cars stored in your garage, which means if you own multiple variants of the same cars, they can have their own unique configurations. This means they can be altered to your preference or customized based on the upgrades or tune installed to the individual vehicle. Drift updates are also on the way in March to Forza Motorsport 7, as mentioned earlier, but Turn 10 only gave us a glimpse of what to expect by the means of a short teaser trailer. It showcased what looked and sounded like a 4-rotary Mazda MX5 sliding around Maple Valley with a simulation-style in-cockpit head movement that matches your steering. Turn 10’s Community Manager Brian Ekberg also teased that March would see some “cool new drift cars” arrive into Forza Motorsport 7 and the presence of a 4-rotary MX5 already has fans speculating that we could see a Mad Mike-focused Car Pack for the game. It's highly possible considering the born and bred professional drifter of New Zealand specializes in those rotary powered machines from Mazda – he’s even sponsored by them! We’ll need to wait for Turn 10’s official confirmation before we can absolutely guarantee it, but the developer added further fuel to the speculation by teasing that the March edition of Forza Monthly would feature two special guests, including one that’s never been on the show before. Could Mad Mike turn up to showcase his drift cars in Forza Motorsport 7? It would make sense and we’ll find out for certain next month. What is guaranteed, however is that the drifting experience is about to become even more immersive than before, especially with the improved cockpit for head movement and those incoming rotary-powered drift machines. With all that in-mind, there’s no doubt that March is shaping up to be a special one for those of us still racing competitively and drifting on Forza Motorsport 7. 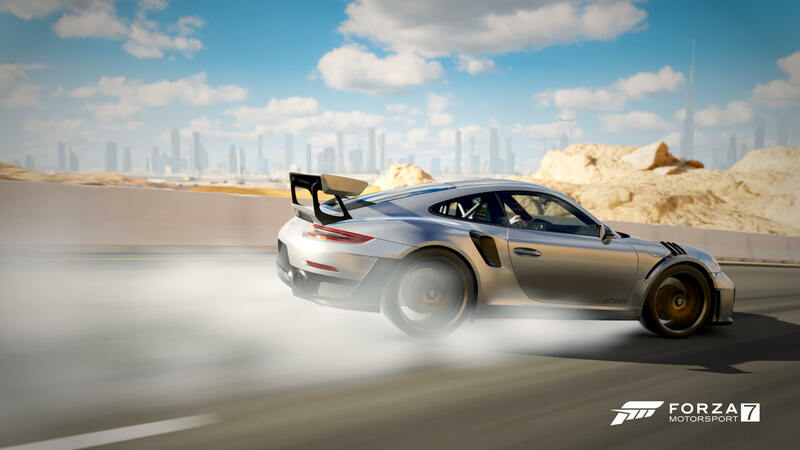 Whether it’s using controller or wheel, chase cam or cockpit view, there promises to be some highly-welcomed new experiences, improvements and content additions for players of all types. Keep in mind, however that Forza Race Regulations aren’t totally guaranteed for a March release as of writing, but other than that, it’s a safe bet that March will offer the most substantial update yet for Forza Motorsport 7 in 2019. However, until then, there’s still plenty of automotive goodness to enjoy out on the track with the February Update for the game. In addition to the oscillation improvements to force-feedback, this release includes two Italian supercar masterpieces from Ferrari in the 2017 Ferrari GTC4Lusso and the 2012 Ferrari 599XX Evoluzione, as well as four new lighting backdrops for the Paint Space to help those creating liveries, as well as the ability to enter Forzavista and Photo Mode whilst designing cars. Looking ahead, there’s also our dedicated story on everything you can expect from Forza Motorsport 7 and Forza Horizon 4 in 2019 – offering a general rundown on what the Forza franchise has in store for its fans over the next year.